The death of a 63-year-old woman in Moray is being treated as "unexplained", police have said. 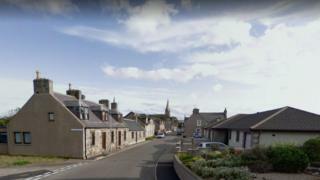 Emergency services were called to Land Street in Buckpool, near Buckie, at about 19:30 on Sunday. It is understood the woman suffered burn injuries. She was taken to Dr Gray's Hospital in Elgin, but later died. Police Scotland said inquiries were at an early stage.